Courtesy of Coldwell Banker Apex, REALTORS, Shannon Patterson. Gorgeous Backyard Oasis nestled in the Chase Oaks-Watters Creek Golf Course. 4 Car Garage on a Corner Lot. Backyard boasts Salt Water Pool and Spa, Adorable Pergola, Outdoor Kitchen and Living Space. Open Floor Plan wraps around the Pool creating views from almost every room. Entertainers Kitchen has Kitchen Aid Range, Vent Hood, Oven, Microwave, tons of Built-Ins and Wine Cellar. Master Bathroom includes Fireplace, Dual Sinks with Granite Countertops, Large Shower, Jetted Tub and Walk-In Closet. Exercise Room off of the Master Bath could be a Nursery or Office. Upstairs has Game Room, 3 Spacious Bedrooms and 2 Bathrooms. Updated Wood Floors, AC Units 2018, 2 Motorized Gates, Security System with Cameras. Please, send me more information on this property: MLS# 14035346 – $499,999 – 729 Water Oak Drive, Plano, TX 75025. 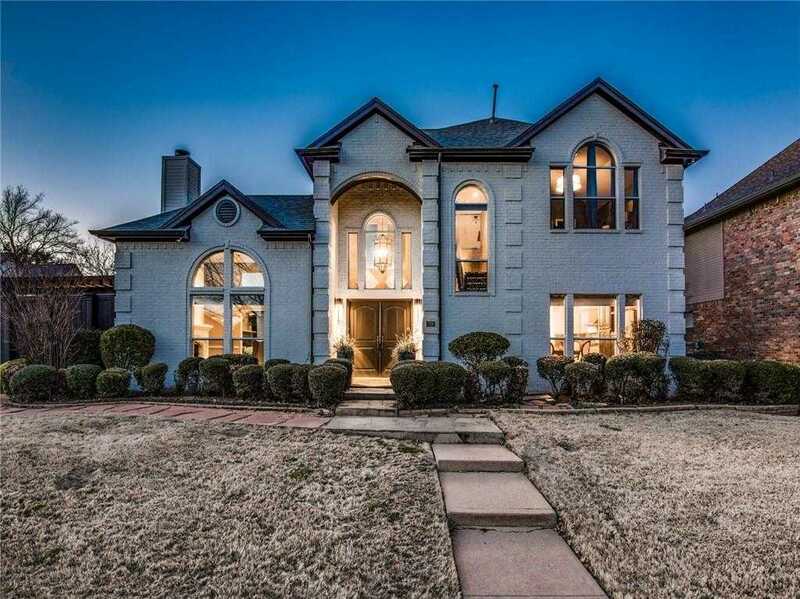 I would like to schedule a private showing for this property: MLS# 14035346 – $499,999 – 729 Water Oak Drive, Plano, TX 75025.